Total Carat Weight: 3.93 ct. 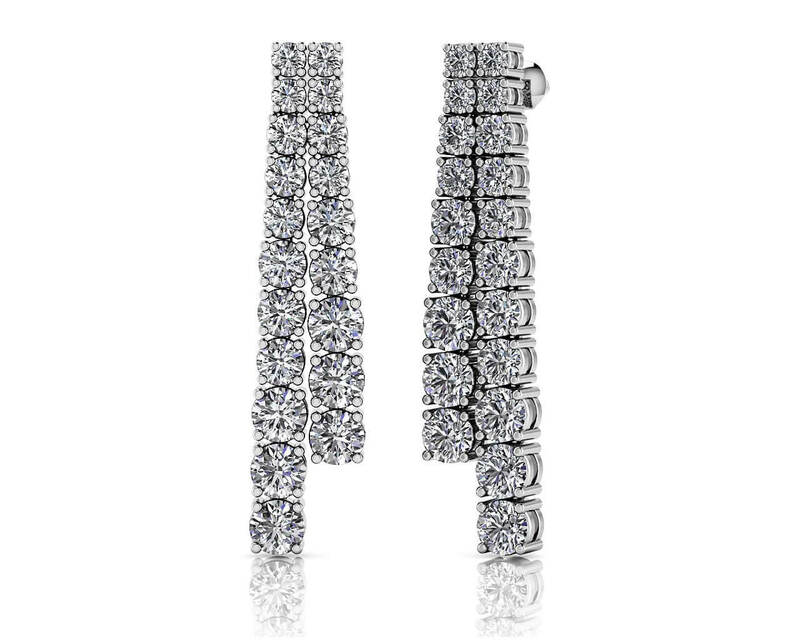 These triple row dazzling drop earrings will accentuate any romantic evening. 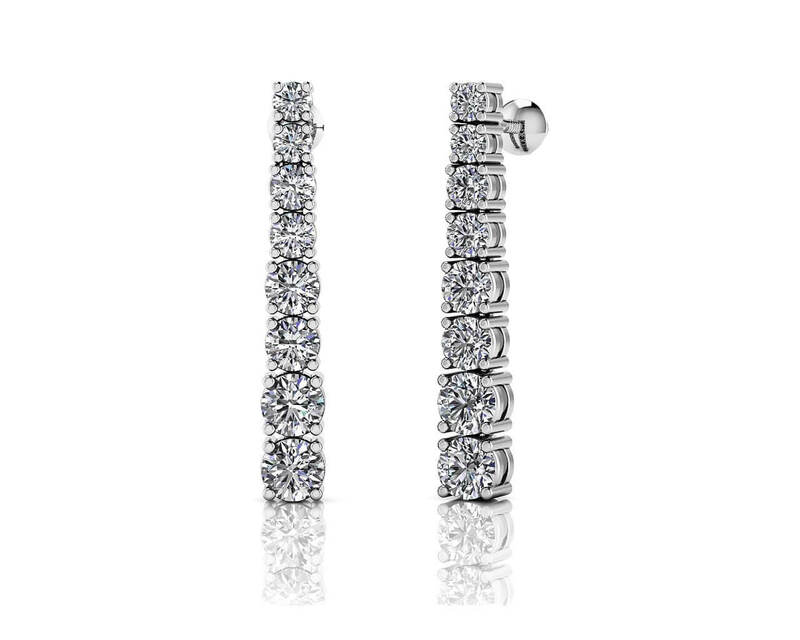 These striking seamless prong set earrings are available in gold or platinum. 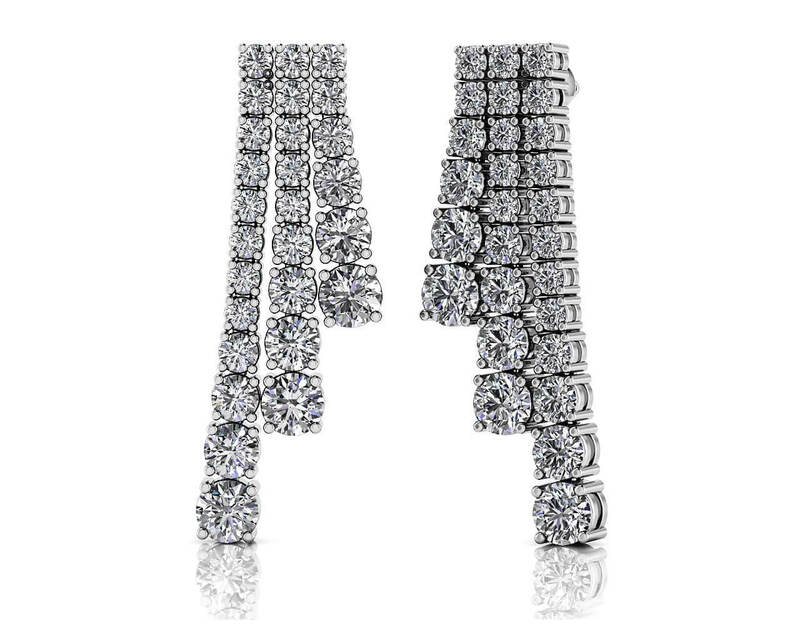 Perfect your red-carpet evening with these stunning drop diamond earrings. Model Carat Weight: 3.93 ct.
Stone Carat Weight: 30X.033 ct., 12X.060 ct., 12X.105 ct., 6X.160 ct.